1Gb.ru Review 2019: Is 1Gb.ru a Good Hosting? 1GB.ru isn’t the easiest hosting service to use but it offers handy features at bargain prices! 1GB.ru is based in Moscow and has been offering its services for over fifteen years. It is known for its cheap hosting packages based on both Linux and Windows servers. Its servers are located in Russia and Germany, while its customers are mostly located in and around Russia. Its website is in Russian but you can communicate with them in English. For anyone looking to sign up with 1GB.ru, the ease of use might well be the most important factor. The 1Gb.ru website doesn’t look that attractive and from what one can gather from reviews on the internet, the custom control panel offered isn’t that easy to use. You’ll need some time to get used to the interface but once you are comfortable with it, you can use it to great advantage. There are also multiple website builders on offer. These come at a separate cost and aren’t included in your hosting package. The website builders are available for both newbies with no programming skills as well as experienced programmers. They even help you with seamlessly integrating your website with social media or external services such as Google Analytics. You can expect support for almost all the relevant programming languages in today’s world. Moreover, thanks to acceleration via CDN, you can improve the speed of your website and in turn, help your visitors as well as the website’s search engine ranking. With SSH, you can also access your UNIX server remotely. The good thing about 1GB.ru is that it offers ten different packages with increased features with each package. All packages come at bargain prices and will appeal to people looking for cheap hosting options. You can use the slider on the homepage to see the range of features offered in the packages. You start with only 1.5GB storage but can increase up to 30GB on hybrid storage or 10GB on SSD. Similarly, you can host from a single website up to twenty websites on one hosting account. The number of email accounts, databases, and processor load increase accordingly with each package. At 1GB.ru, you have the option to choose varying time periods for your contract. You can save up to 58% by opting for the five-year payment plan. With the yearly plan, you save up to 15%. There is no money-back guarantee that we usually see with hosting providers but refunds are available in a different manner. If at any point you no longer wish to continue using the service, you can terminate your contract and get your money back in proportion to the time remaining on your contract. For instance, if you have a one year contract and terminate after six months, you will get half your money back. There seems to be a very good customer support system in place. Support is available through email, live chat, Jabber, Skype, and ticketing. They are available 24/7, so the live chat is the best option among all these. Due to the poor design of their website, finding the right information was pretty difficult, so I frequently had to get in touch with them. To my surprise, all of their operators spoke English very well. However, the chat interface was poorly designed and as you can see from the following image, the question I asked (Do you offer a free domain with your hosting packages?) wasn’t even fully visible on the interface. Navigating 1GB.ru’s website is quite a tough task, as is managing your own website once you sign up. A person with no technical knowledge will have a hard time using it as a host. Add to that the fact that people have often complained about websites not opening due to access load and 1GB.ru doesn’t look like the best hosting company around. Sign-up now for cheap hosting services with 1Gb.ru! 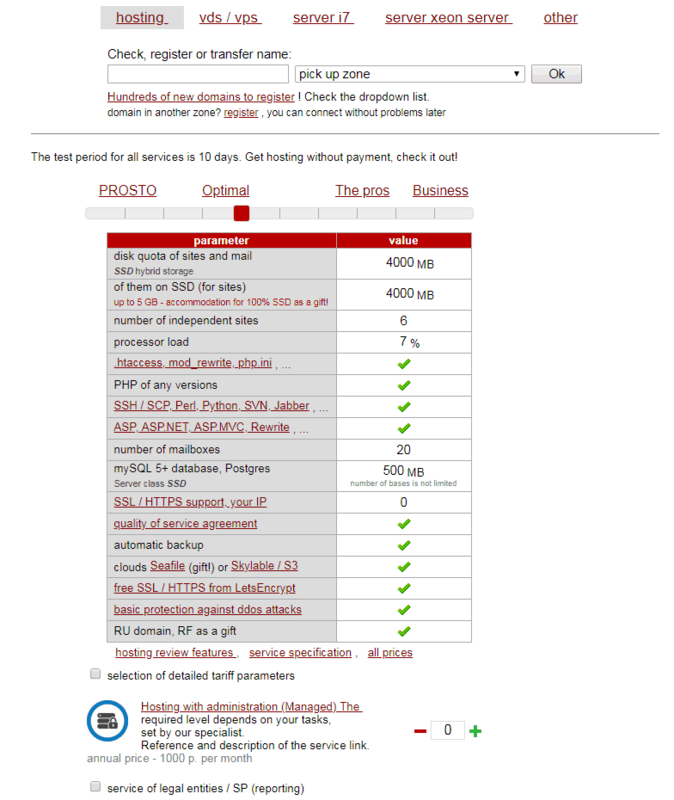 Wondering how 1Gb.ru stacks up against other Web Hosting companies? Enter any other Web Hosting company and we will give you a side-by-side comparison.